For 17 hours this week, the Baltimore Orioles led the American League East. Ahead of the New York Yankees. Ahead of the World Champion Boston Red Sox. It was a nice 17 hours, although, truthfully, several of those hours were in the middle of the night when I couldn’t really enjoy it fully. What a whirlwind, crazy, exciting ride it was. The Orioles promptly lost their next two games. 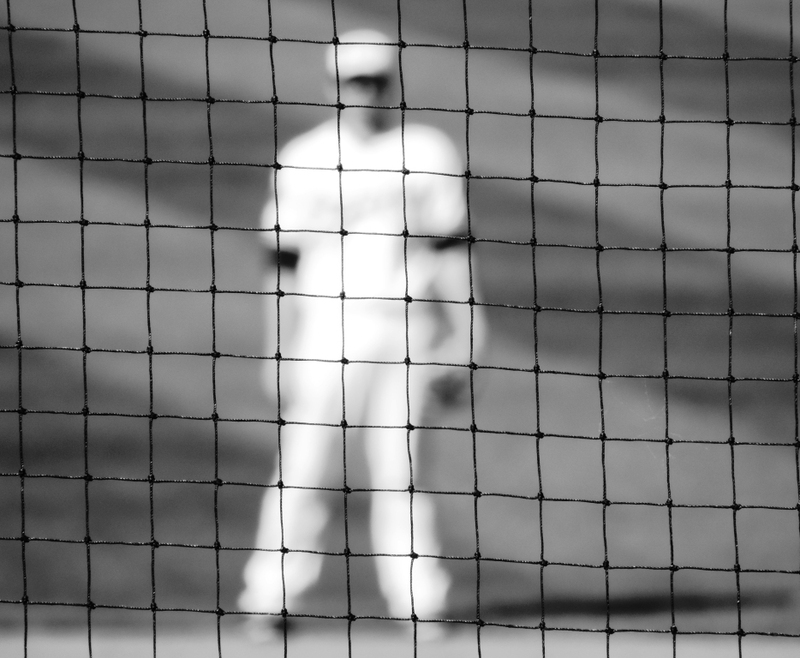 There is a week that comes in every baseball season, when a private, quiet kind of panic begins to set in for fans of teams that are not number one. 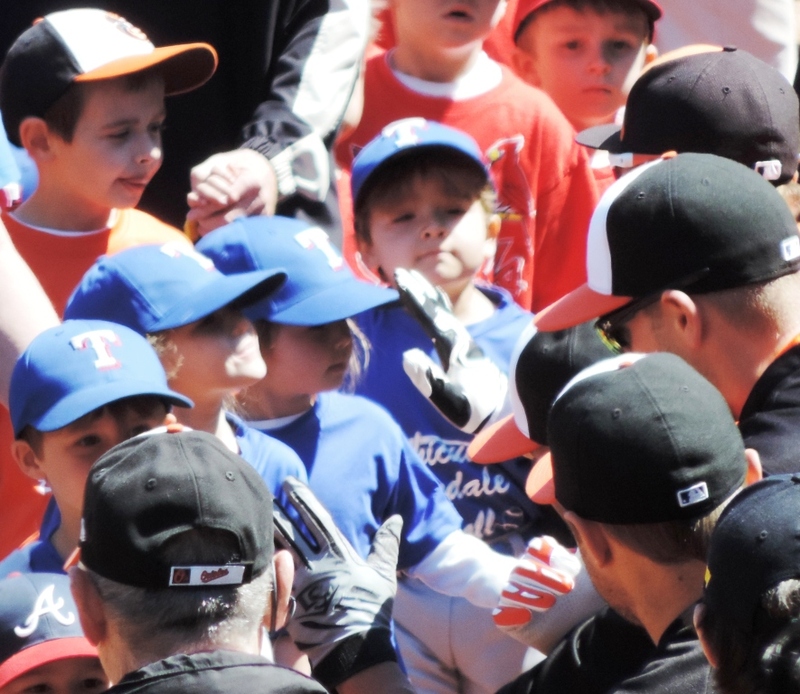 The scrappy Orioles played the equally scrappy Kansas City Royals. But, the sun was shining. 3,500 Little Leaguers were there. I took these pictures. So really the day wasn’t a total loss. Here’s Orioles Pitcher Chris Tillman out by the bullpen. Four days later, against the Pirates he would throw 49 pitches in the top of the first and walk in two runs. The Orioles won anyway. And, as a big fan of the bullpen and relief pitchers, I’m delighted to see they’ve dressed up the place with flowers. 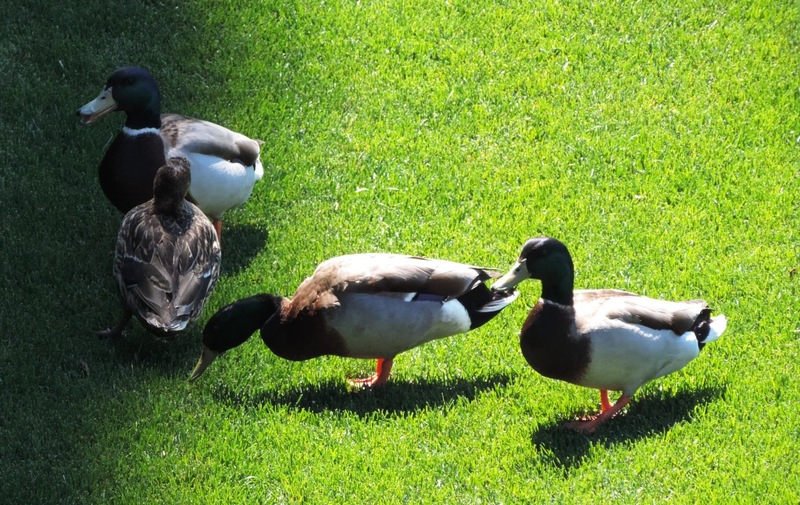 These are ducks just behind center field. 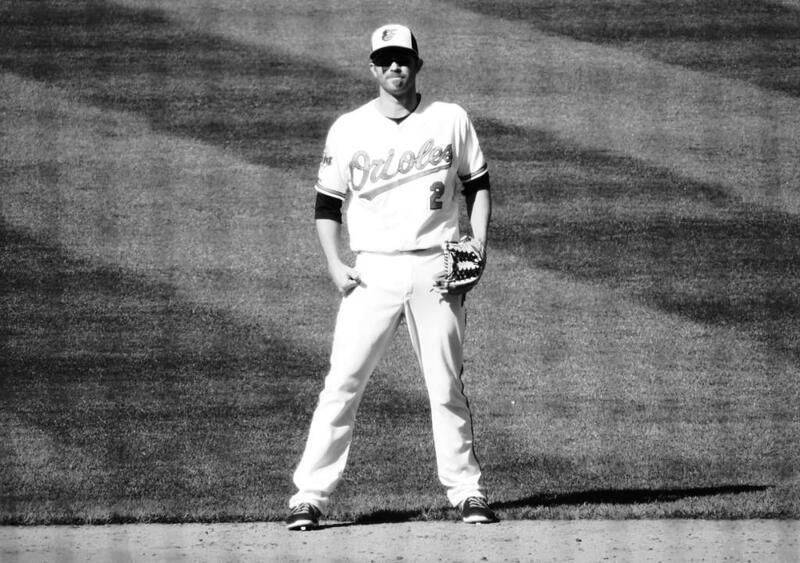 Gold Glove Shortstop J.J. Hardy. It’s a trick! It’s Right Fielder Nick Markakis playing first base, subbing for the injured Chris Davis. Obligatory bullpen shot. Hi fellas, stay warm! Orioles backup catch Steve Clevenger, born in Baltimore in the nearby neighborhood called Pigtown. 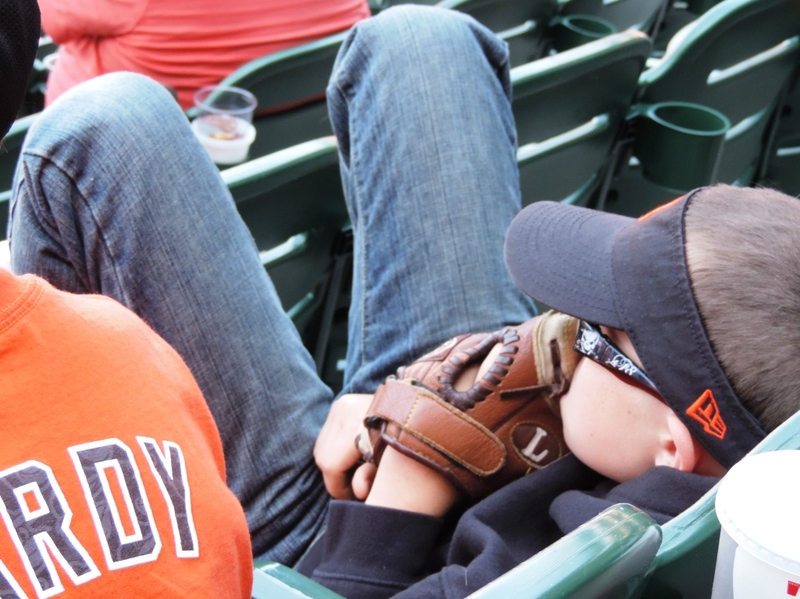 This is a kid who’s excited to be at a baseball game. He is a wide-eyed innocent who believes in his team and in a world that is just and fair. This is a kid whose favorite team is rolling over to the Royals. I think he’s aged a bit this afternoon, and from here on out every smile will be tinged with just a hint of sadness. 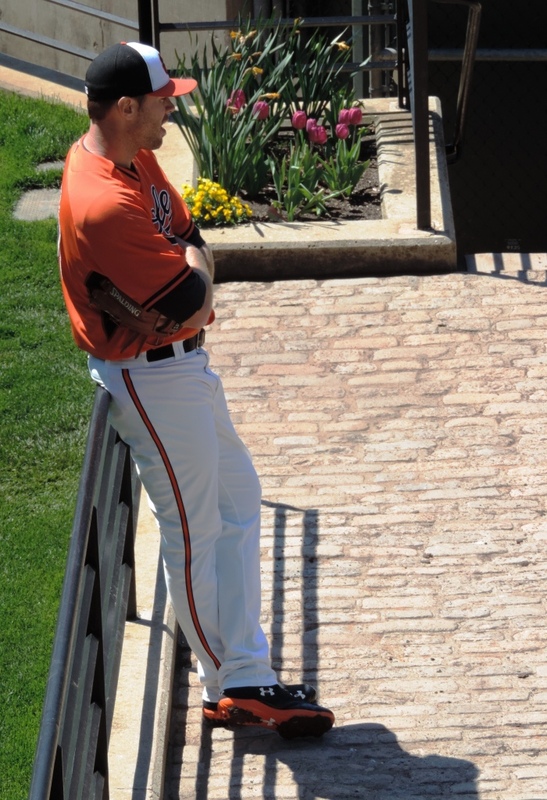 Shortstop J.J. Hardy knew that if he stopped mid-game to pose for my photo he would get to appear in this post twice. Congratulations, Mr. Hardy. OK, maybe it’s too early to panic. Photos: Oriole Park at Camden Yards, Baltimore, Maryland. April 27, 2014. Kansas City Royals – 9. 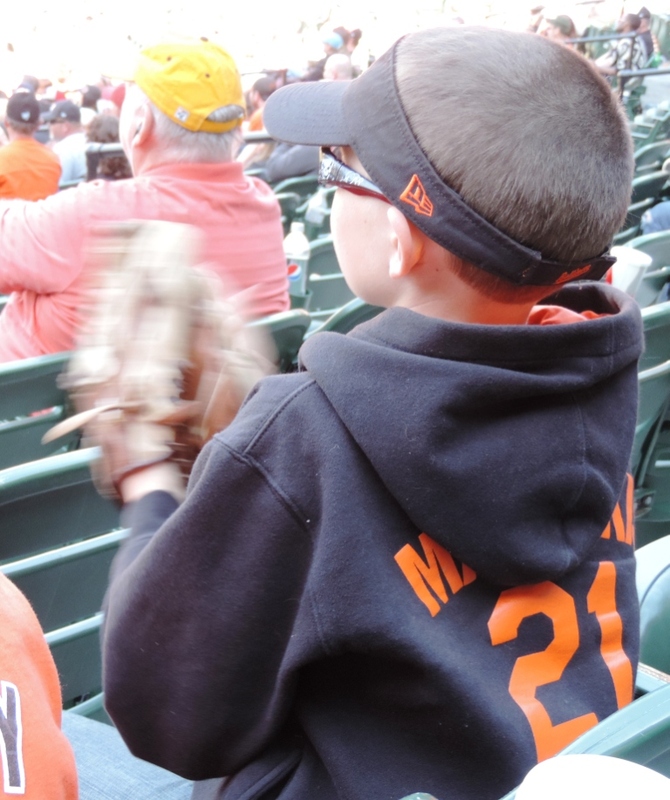 Baltimore Orioles – 3. 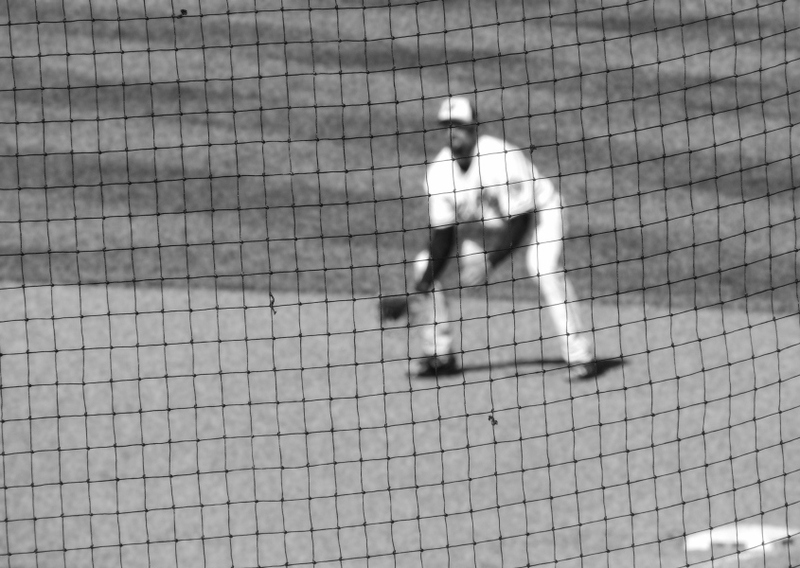 This entry was posted in Baltimore Orioles, Baseball and tagged black & white, bullpens, J.J. Hardy, kids, Nick Markakis, photography by Jackie, The Baseball Bloggess. Bookmark the permalink. Ah, yes. Those brief moments of shining glory. 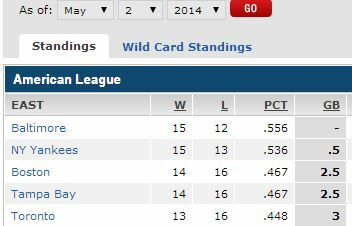 Remember the AL West standings on April 2? Those days of glory, indeed. Some day they shall return, yeah and even unto the final day of the season. That’s the thought that keeps us watching, is it not? Well, perhaps not. 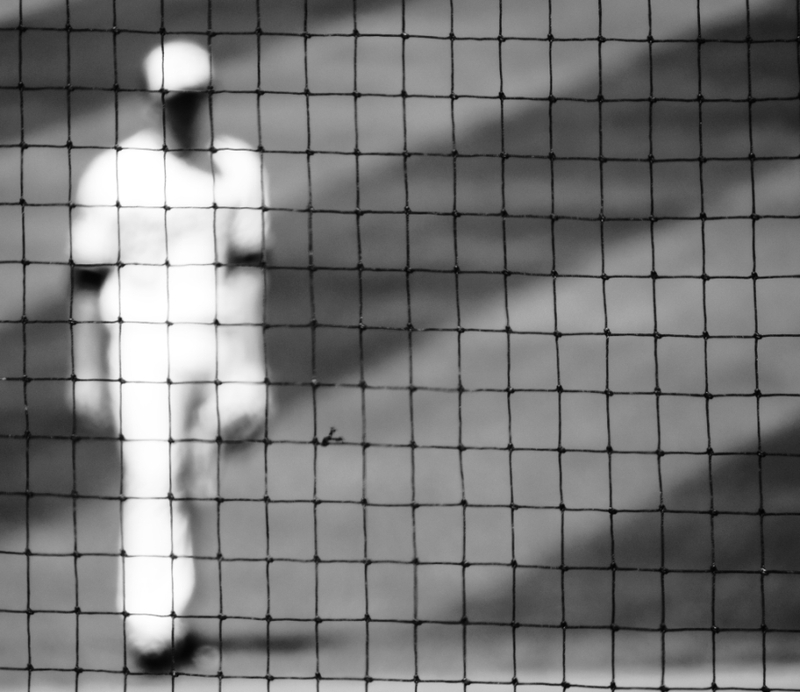 There’s still a beauty in a well-turned double play or a towering home run, even in a losing cause. But those moments sure do help. Thanks, Casey! 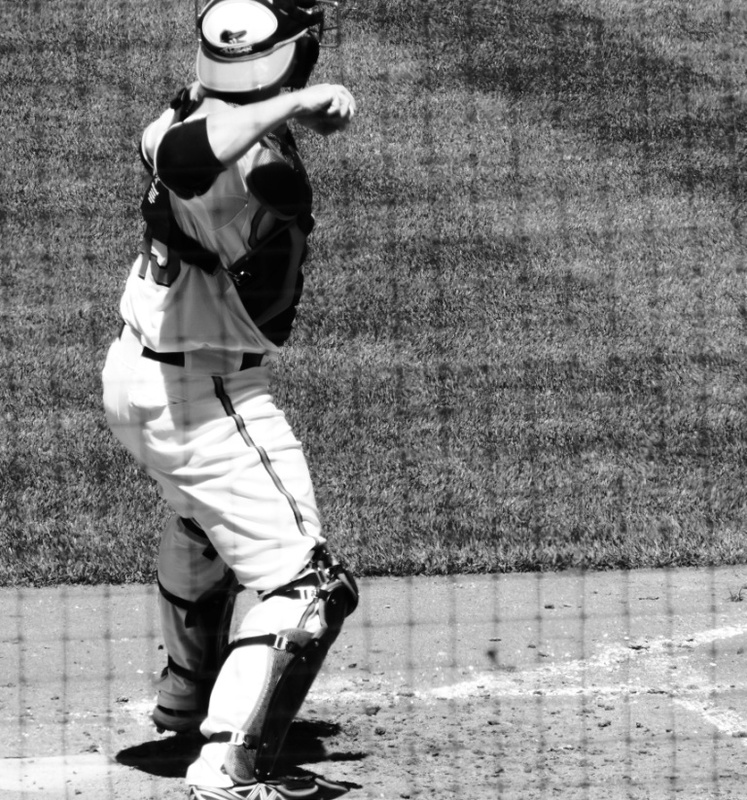 The Orioles pride themselves on defense, so an amazing defensive play can help lessen the sting of defeat. Lots of errors lately though, so even that has made me grouchy. But, it’s early yet … right? It’s early yet–right up until the moment we’re mathematically eliminated, at which point it’s wait until next year. 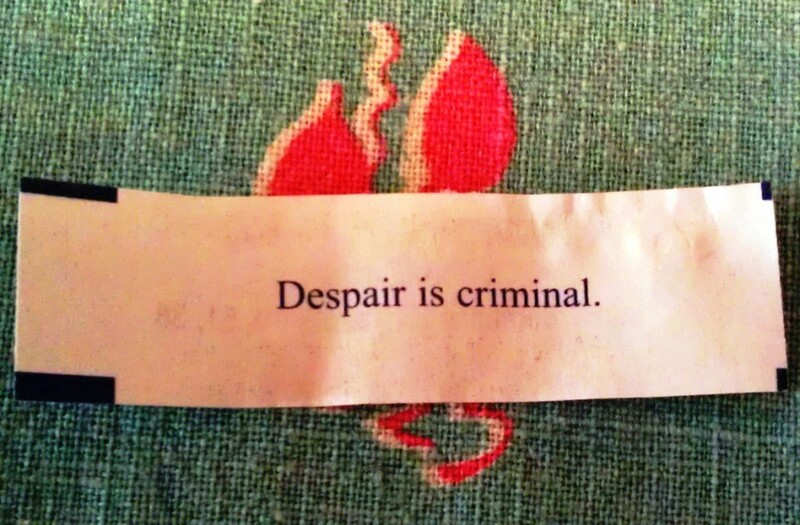 My favorite fortune cookie is “Hope springs eternal!” As a Cubs fan, it’s my golden rule. We have to enjoy the good moments. Love your blog. The A.L. East is very weird this year. Whichever team gets hot in September will probably take the division. Thanks Bill! It’s only a month in, but you’re right … “weird” is exactly the right word to describe the AL East. NL West is a little weird too. I guess that’s why we have to play 162. 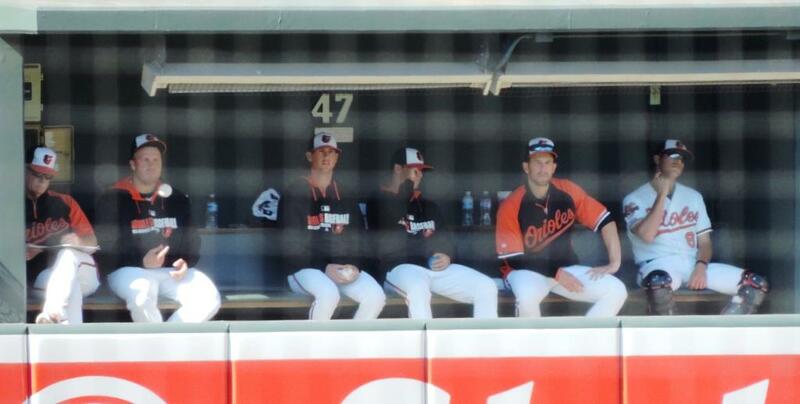 Plus, as long as things stay “weird” … the Orioles are still in the mix. So, “stay weird” will be my new motto this season … thanks! Hard weekend after Friday night…we’ll keep the flag flying, though! Thanks so much for the cheerleading effect and keep those great pics coming.